These presuppositions need questioning, first of all with respect to their origins. We need to look at the “liberation” of wage labor in the industrial revolution, as well as the creation of the “free” market, from the point of view of labor. We generally see this story as a positive one of liberating the individual from subsistence farming and from oppressive medieval limits on what a person can do or be. While acknowledging that many have benefited from the mobility encouraged by the free labor market—I am glad I am not scratching out a living as a potato farmer in Ireland—we should also be aware that some uniquely modern problems are created by the free labor market. One problem is the mismatch often created between what people want to do and what they are able to do. 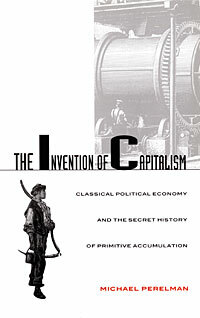 Karl Marx and some more recent scholars like Michael Perelman (The Invention of Capitalism) show that the creation of “free” labor was an extraordin arily coercive movement engineered by the owning classes. It left laborers with nothing to sell but their labor, and therefore relatively powerless against those who would hire them. This mismatch between expectations and reality must be addressed with young people. We should not give our students four years of “Follow your dreams!” and then cast them out into a job market in which they must beg for someone to pay them a living wage (and wholly control their work ). If they are lucky they will join the managerial class, but they will rarely escape the experience of coercion—as employees who are seen as instrumental to the desires of others. Why is there so much coercion in a “free” market? In the absence of an objective purpose (telos), there is nothing but power. In other words, if all people are simply pursuing what they want, and no telos is in place to adjudicate between what you want and what I want, then the decision of “who gets what they want” can only be determined by who has more power. In addition to occasionally finding oneself unable to do what one wants, those facing vocational decisions often don’t really know what they want, and find the process of figuring that out to be confusing and frightening. Students are often paralyzed with anxiety at having to choose a career path. Harvard research psychologist Danie l Gilbert and others have shown that, as Gilbert puts it, the problem is not, as the Rolling Stones say, that “you can’t always get what you want”; the problem is that we don’t know what we want. 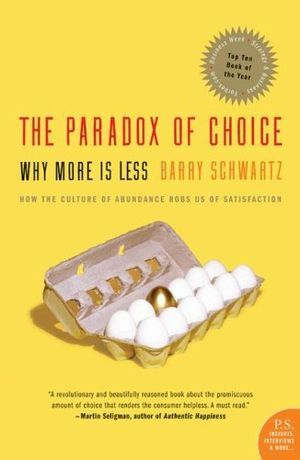 Barry Schwartz (The Paradox of Choice) likewise argues that the more choices you have, the more dissatisfied you will be with the choice you finally make. Both Gilbert and Schwartz undermine the idea that we are essentially rational choosers, for whom “what we want” is transparent to ourselves. In a theological vein, Augustine does the same, making clear that we are bound by “the iron of [our] own choice,” as he says in the Confessions. We don’t know what we really want. The goal, for Augustine and the Christian tradition more generally, is not “doing what you want,” but wanting what is good—and what is true, and beautiful. The Christian tradition has held that certain things are objectively desirable; their desirability is given by God, not simply chosen. The reason that many experience entering the job market as both coercive and confusing is that, without objectively desirable pursuits, we are left trying to figure out what we want and trying to avoid being merely subjected to what others want. The problem of vocation, therefore, must be addressed at a more fundamental level of questioning the ideology of the “free” market as that place where people pursue what they want. Rather than simply trying to find one’s place in such an economy, we should be asking ourselves how to create economic spaces where the pursuit of the good, the true, and the beautiful can take place. This paragraph is insightful because it invites us think anew about the telos of higher education: is it designed to/capable of allowing entrance into the pmc (professional managerial class)? It is painful because students want well-paying jobs, for good reason (i.e., hope of movement between social classes; rising indebtedness; economic insecurity in a world of scarce resources). However, entrance into the pmc is in is no longer guaranteed nor a good thing (see, for example, Pan, J.C. “The New Yuppies,” The New Republic Aug/Sept 2017, 69-71). If college/university education doesn’t easily allow entrance into the pmc, and/or entrance into the pmc is entrance into a coerced and coercive way of life, then is college/university education worth the cost?